I had originally planned my latest trip to Havana for June but the lousy weather in London as well as the knowledge that many of my friends and clients would be in Havana last week was too much temptation for me! So I packed up my travel 'dor and a few trusty Blazer lighters and off I went to Havana! My flight stopped for an hour at Madrid airport in Spain where I checked out the duty free Havanas..... great prices, lousy selection... NO surprise there then! 8 hours later, I arrived in Havana. My good friends Rami and Don picked me up from the airport and greeted me with a beautiful Salamones rolled by 'Yolanda'. Together with the warm (70Â°) temperature of the evening, this felt like a perfect start to the trip. I usually stay at the Hotel Nacional but wanted a change of scene and my friend and colleague Mike Mirecki tripscuba.htm - suggested I stay in the 'boutique' Hotel 'Conde de Villanueva'. Mike has never been wrong with his recommendations and this was no exception. 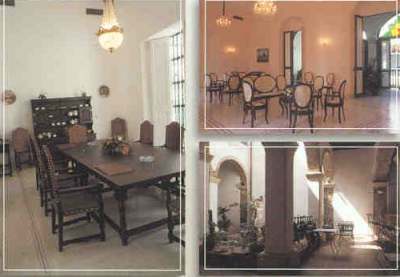 Its Sobriety's Charm will fascinate the guest in this intimate hostal, familiar par excellence, where inside yards, spacious corridors and beautiful stained glasses join to create the authentic colonial beauty as a whole, in perfect harmony with the most modern comfort. The Habanos house opens doors to a fascinating world of unmistakable aroma and flavor cigars. The best brands of Habanos wait for your choice to be tasted at a charming private room the hostal has at your disposal. The Hotel was originally the home of Claudio Martinez de Pinillo (1789-1853). The Count of Villanueva, a gentleman of great importance and influence in the 18th Century. His influence spread to the railroads, cigars, science and literature ... and of course he was a Havana cigar aficionado. 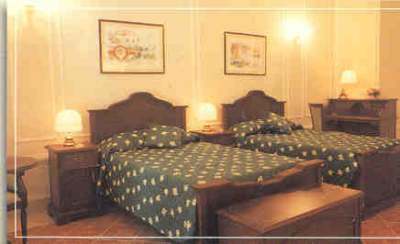 The hotel has only 9 bedrooms which are well appointed and feature very high beamed ceilings. Arranged around a beautiful central floral courtyard with peacocks walking around! .... This is not your typical hotel! The hotel is designed for Havana cigar smokers and is located in the heart of old Havana close to Cathedral Square and the book market. 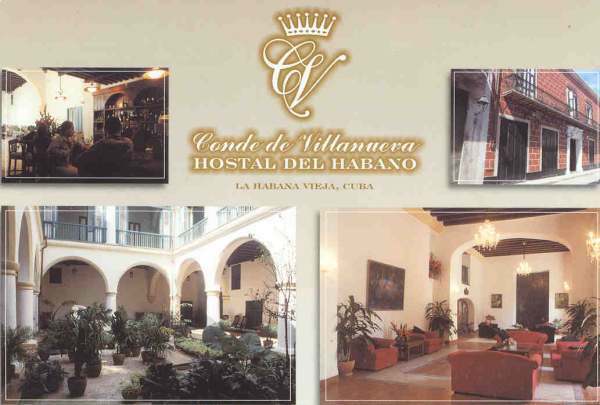 Villaneuva also boasts an excellent Casa del Habanos, professionally managed by the knowledgeable and courteous Alberto who not only speaks good English but has many years experience in the business. 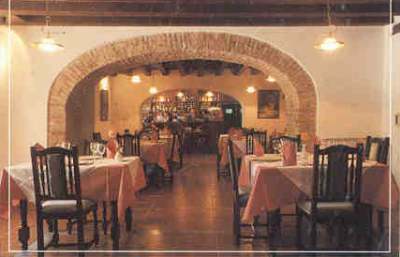 Dinner on the first evening was at the famous El Ajibe renowned for its fried chicken as well as other dishes. Cuba really is no gastronomic delight but this restaurant is a welcome exception. I bumped into a group of friends I know well from Cigar Family and Cigar Aficionado bulletin boards which made the evening all the more enjoyable. Dinner was accompanied with Havana Club 7 and Cohiba Siglo V's.... a perfect evening! and drinking Cubita... tough life but I think I handled it well! The situation was more or less the same in all of the cigar shops. Very full stocks but very young and basically unsmokeable cigars. Excellent selection of robustos and piramides and fair stock of the limited edition maduros Montecristo Robusto and Partagas No. 2 though I would guess these will not be available for much longer as I noted customers buying up dozens of boxes. Before I get 100's of emails..... There were absolutely no Romeo Exhibition No. 2 Maduros and NO Hoyo Particulares Maduros. There may be more made later this year but I'm not sure that I would count on it. Those of you who got your hands on some of these excellent cigars were very lucky. I think the Hoyos may become a collectors item. C.GARS Ltd still have limited stocks of the Montecristo and Partagas Maduros but the Romeo Exhibition No. 2's are only available in our sampler pack which can be ordered secure online - http://www.cgarsltd.co.uk - or via email. The sampler consists of 6 cigars and has been our most popular sampler so far this year. Again..... before I receive 100's of emails... there are no millennium 2000 Cuaba Distinguido Jars available anywhere in Havana. The are very few Montecristo jars but a decent supply of Cohiba piramides. C.GARS Ltd still have all of the Millennium cigars available in singles, samplers and full jars.... We even sell the empty attractive and very functional humijars for £150 each. Carlos Valdes, the master roller who kindly did cigar rolling demonstration live on our webcam recently, was rolling cigars at Casa Amistas in Vedado and I enjoyed some excellent Salamones and Diademas that he rolled for me, with my preference of a medium/strong blend... true perfection from a master of his craft. Would you like to try a Valdes cigar free? .... Order any 25 cigars (Havana) within 48 hours of receiving my newsletter and I'll glady send you one with my compliments and best wishes... whilst stocks last! So please order early to avoid disappointment. My friends and I enjoyed a seafood dinner at at Don Cangrejo followed by Salsa Music with a most excellent live Salsa band at 'Macumba' nightclub till the wee small hours. The funny part was that at the entrance the sign said $15 dollars entry but everyone was being charged $25! When we challenged their charging methods ..... frankly they didn't give a damn! After all this is Cuba! Nevertheless the mojitos were fabulous as were the 5 year old Quai d'Orsay Imperiales we smoked. I have some Quai d'Orsay Imperiales aged from 1997 available in singles (over email only please) at £14/cigar. Possibly the finest daytime Churchill sized cigar with excellent construction and characteristic mild to medium flavour and strength. This is not the tourist peak season in Havana, possibly because it can be a little too hot (around 80Â°F and humid) but old Havana is always a hive of activity. 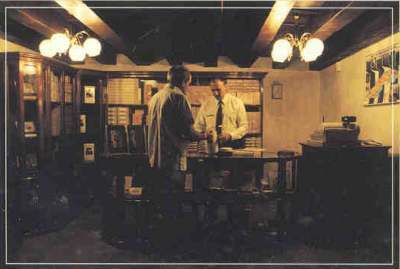 I spent days scouring the bookmarkets as I'm always trying to expand my reference library on aged and rare cigars. I was lucky enough to find a Cuba Tobacco catalogue from 1962, which made my whole trip all the more worthwhile. I'm also making available various other historic Havana cigar related ephemera such as magazines, postcards, first day covers, photographs, vitofilia etc.... check them out at http://www.cgarsltd.co.uk - don't delay these are rare one off items! Oh No Baseball Bats!!!!.... again! Yes, baseball bats again! I have a few beautiful baseball bats (small and large) in their own glass humidors (with wooden stand) proving that the best rollers really can make a craft into an art. Order secure online or via email. Stocks are awfully limited, I'm afraid. As the leading Havana cigar merchant on the internet and the UK specialising in Aged and Rare cigars (and one of the few in the world offering them in singles, samplers and full boxes), I can tell you that our stock availability literally changes daily, so if you are interested in the mature, aged or rare please check the section on my online store as I update it every 48 hours. Recent additions that spring to mind as they are of truly superior quality include a box of Davidoff No. 2 from 1991, a box of Montecristo Especial No. 2 from 1993, Aged Gisperts Coronas, Mature Hoyo Double Coronas and of course many others. Advice is always my pleasure and if you are having problems authenticating or dating an aged Havana, just drop me a line and I'd be happy to help. Likewise, if you have a wish list, let me know. 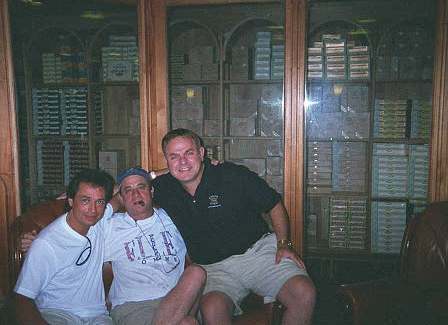 It may take some time but I have contacts throughout the world and can usually source.... Any Havana cigar.